Pictures that make you look your best, that capture your spirit, the spirit of your event, that make people want to meet you. If you can afford a top-flight professional photographer, great. Experience and equipment go a long way and they might even have a nice studio. Maybe not nicer than mine, but with more expensive lighting. If you, your friends or family members can take good shots, great. If you’re sure you have a well lit venue you might get lucky…well, do you or they even have the expertise to know if the venue is well lit? Do you care if the record for the event looks highly posed or has harsh shadows or white faces, yellow or blue faces? 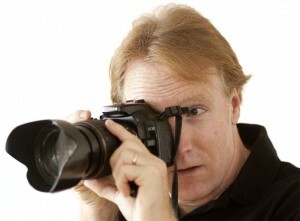 Consistent quality photography is not for the lucky or the inexperienced. Nor is it rocket science. But it does take skill, experience and the right equipment. Currently I shoot for events and businesses. I photographed events, sports and nature professionally with literally thousands of shots appearing in respected regional print publications including the Bergen Record, 201 Magazine from 2007-2016 (until Gannet/USA today took over and fired all the freelancers and much of the staff). I have the equipment and experience to get quality shots in almost any situation that will capture you or your event in the way you want to remember it with a budget tailored to your needs. Reasonable prices for quality work. Learn more about Tom Hart’s photographic and shooting style.